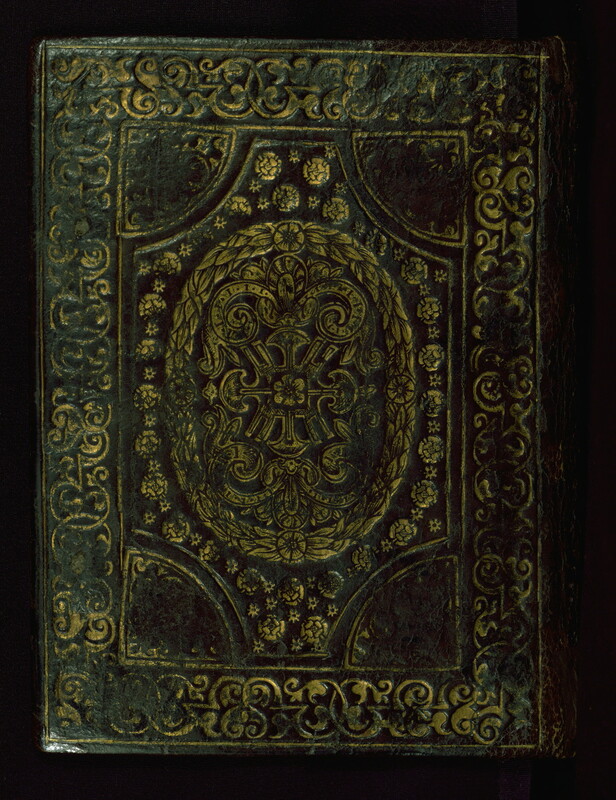 This Book of Hours for Use of Rome was created by one of the followers of the Master of the Prayerbooks of Bruges ca. 1510. 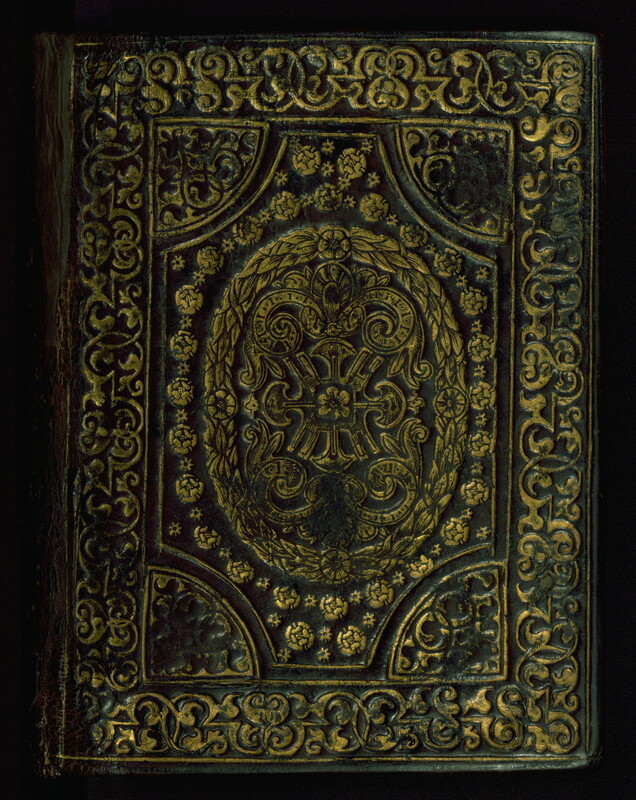 In 1577, it was acquired by Charles de la Porte, who commissioned its rebinding, and had the armorial shield of his family added to a decorated initial on fol. 136r. While the manuscript's illuminations are relatively spare in their renderings, they include a number of unusual details. The margins of the Crucifixion (fols. 17v-18r) and the beginning of the Devotional Sequence (fol. 140r) contain segmented borders divided by red and white tree trunks with peeling or "bleeding" bark, thus unifying the two sets of prayer. Also of note is the miniature depicting Pentecost, where Mary is shown kneeling in prayer. Decorated initials are present throughout the manuscript. This manuscript appears to have been used infrequently by its original owner, with limited dirt and wear on most of the pages. Principal cataloger: Randall, Lilian M.C. De Ricci, Seymour, and W. J. Wilson. Census of Medieval and Renaissance Manuscripts in the United States and Canada. Vol. 1. New York: H. W. Wilson Company, 1935; p. 810, cat. no. 330. Bowles, Edmund A. "A Checklist of Musical Instruments in Fifteenth Century Illuminated Manuscripts at the Walters Art Gallery." Quarterly Journal of the Music Library Association 32, no. 4 (1976): 719-726; pp. 721, 723. Owens, M.B. "Musical Subjects in the Illumination of Books of Hours from Fifteenth-Century France and Flanders." Ph.D. diss, University of Chicago, 1987: p. 474. Randall, Lilian M. C. Medieval and Renaissance Manuscripts in the Walters Art Gallery. Vol. 3, Belgium, 1250-1530. Baltimore and London: Johns Hopkins University Press in association with the Walters Art Gallery, 1997; pp. 504-509, cat. no. 294. Appears to have been sold to unknown buyer in seventeenth century; inscription of that period on back pastedown records cost of forty guilders and praise of illuminations in Dutch: "40 Gl Seer heerlyke Tykeninge"
Unknown owner ca. 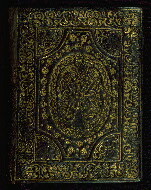 1900; pencil inscription in Dutch on fol. 153r: "Wie oudheid minnaar is komt hier dit boekje kopen het schijnt slechts prulijen [?] maar... [?] doer het open"
Gruel and Engelmann collection, Paris, late nineteenth or early twentieth century; their bookplate on front pastedown inscribed "No. 67"